Whether you seek a friendly real estate advice, a local Real Estate Bell agent’s help or have any query, ask us anything under the Sun! 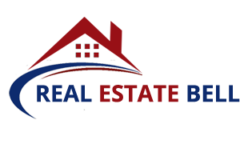 Reach us anytime when you are buying home in Washington, DC, MD and VA. We are your real estate friends in need. So, keep the hesitation aside for a while and contact your realtor friend any time of the day. We would love to resolve your queries at the earliest. Got a message to convey? Or, just simply seeking a realtor’s assistance? Fill out this form to hear from us.